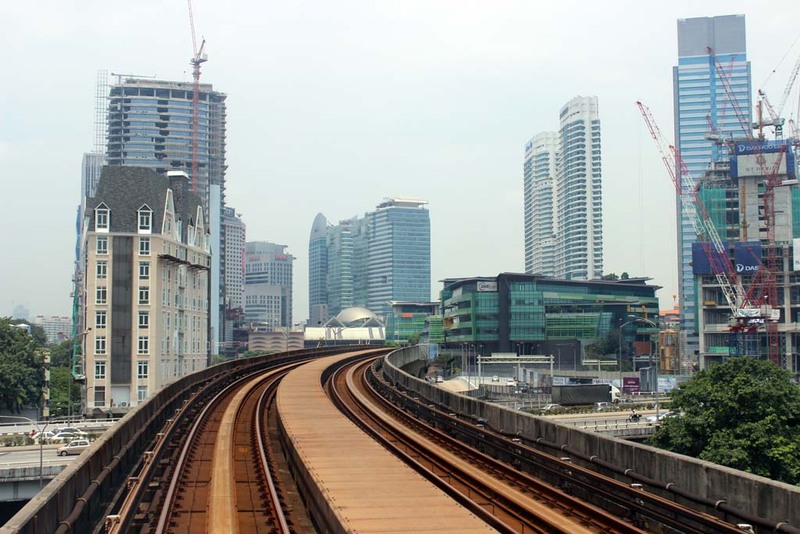 After we completed our Malacca trip, bang Noor was generous enough to take us to the nearest railway station….although it is not that near, because it is located at Sungai Gadut. 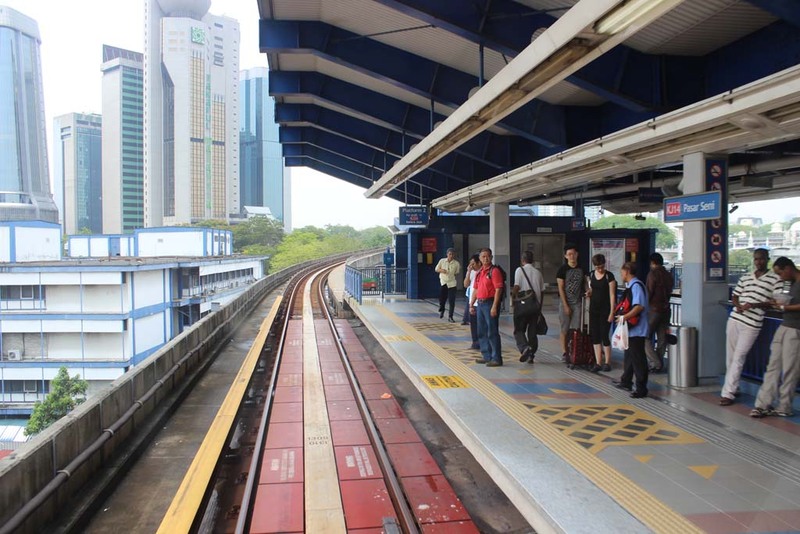 Now the southernmost terminus of KTM Komuter service. The distance between Malacca and Sungai Gadut is almost identical to Malacca-Gemas. 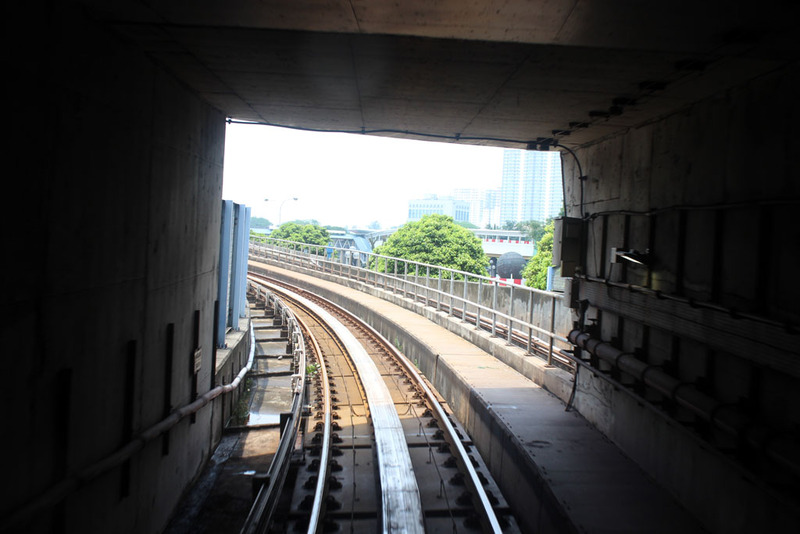 Once we arrived at newly opened Sungai Gadut, bang Noor took us all the way to the platform. 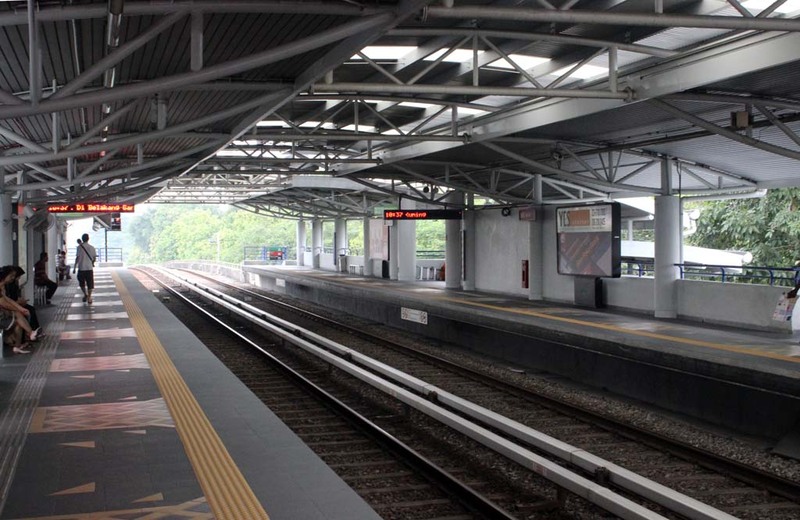 Being a new station, Sungai Gadut station looks very clean and spotless. 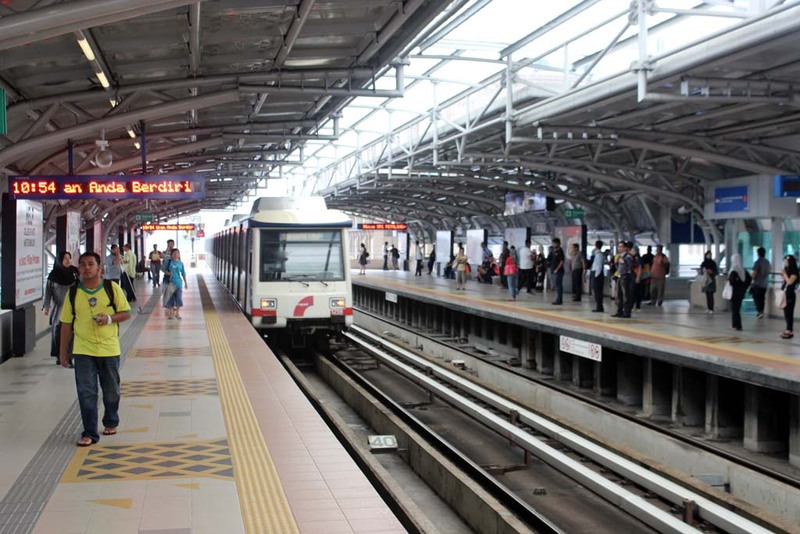 Bang Noor also mentioned that the station is quite new. 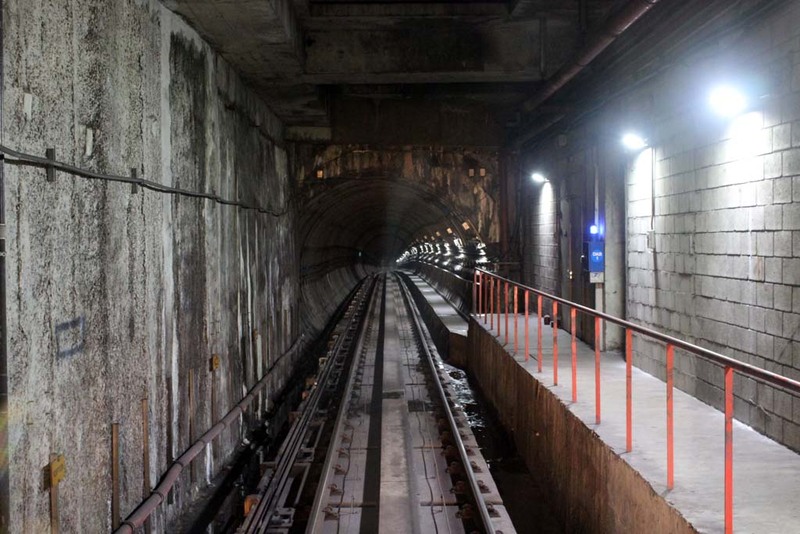 Before the new double tracking project, there was nothing in its place. 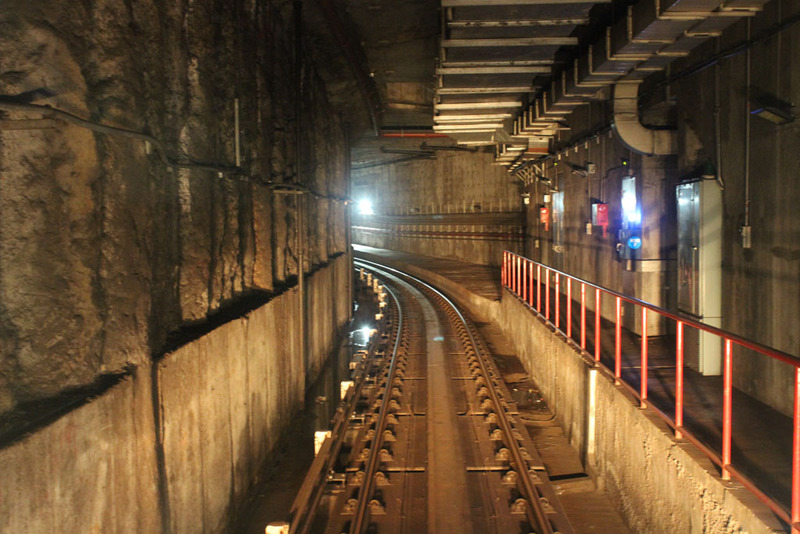 In fact the track was located on the ground level, not on elevated track as it is now. In addition, there was a steep gradient near the place, which makes driving train rather tricky, if not difficult. 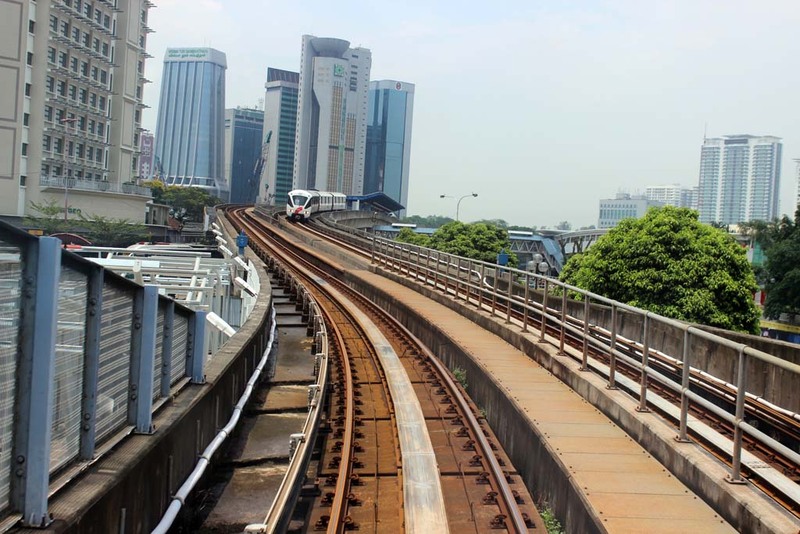 The elevated track abolished the presence of the steep gradient. Not long after that, our train eventually arrived. 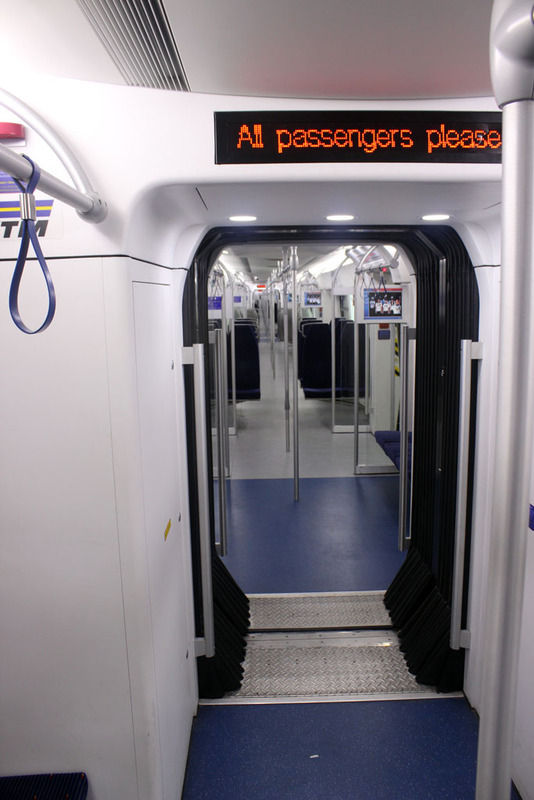 Apparently it is the brand new Chinese-built EMU. 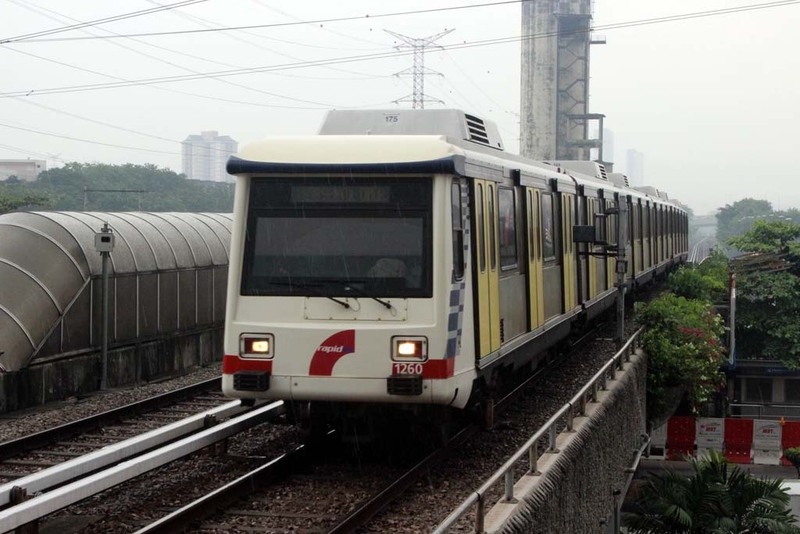 This sophisticated EMUs replace a variety of EMU that used to serve the KTM Komuter service. We went inside, and it was very cold. The air con was really powerful. 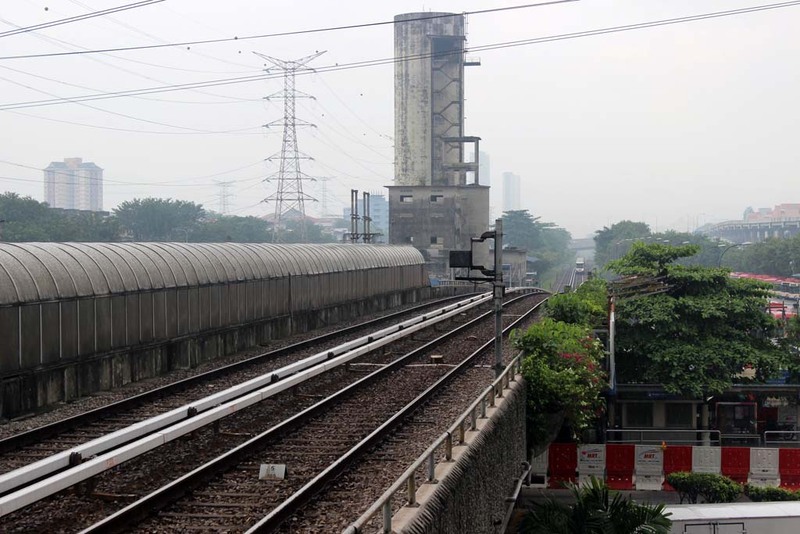 Just before our train departed, bang Noor bade farewell to us, and we parted once the train doors closed. 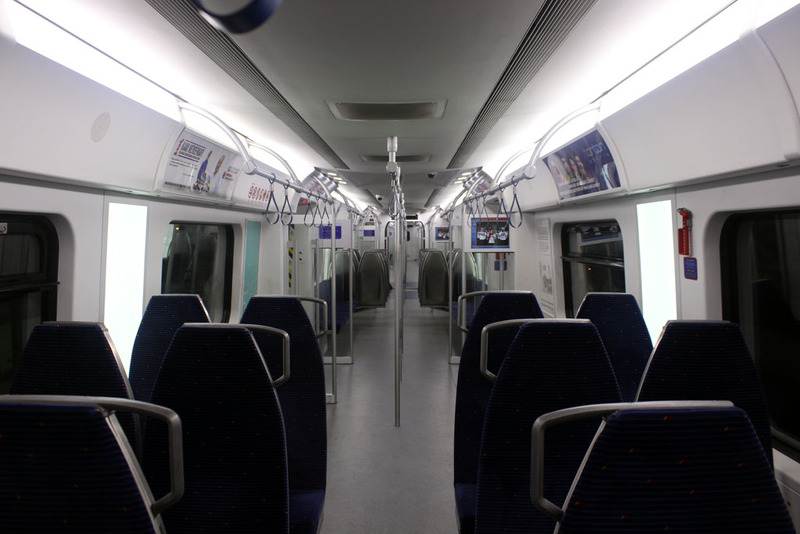 Although the interior design looks slightly identical with the previous EMUs, there are several notable differences. 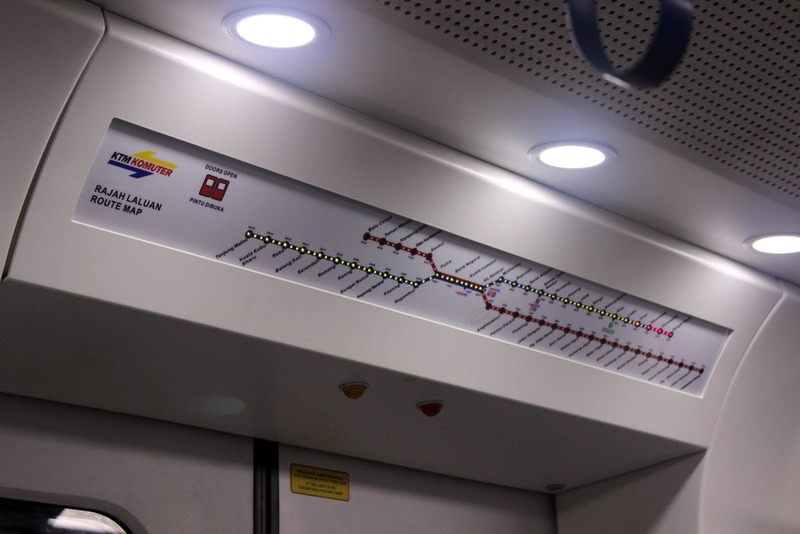 It is more sophisticated as it features many LCDs that shows the name of the stations. It also feature lighted station displays. Green lights mean to following stations, whereas red lights means the stations that we have visited. 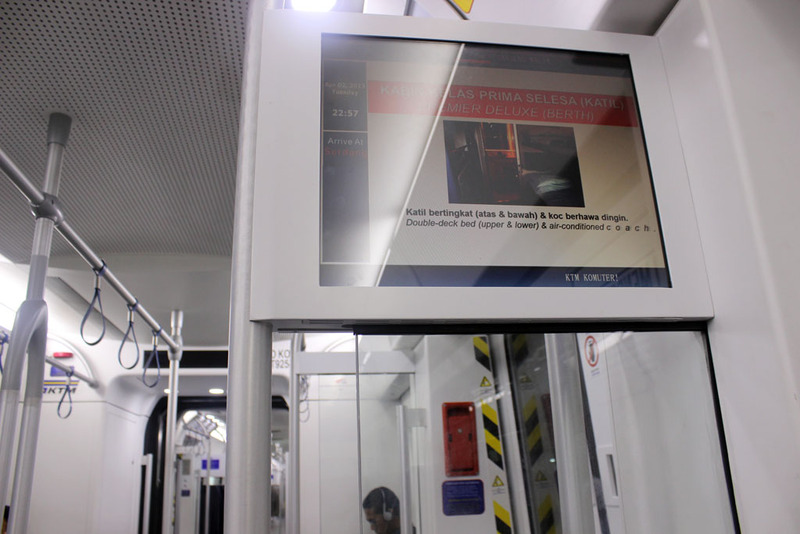 It also feature TV screen that shows many advertisements. Since the general election is approaching, most of its advertisements were political campaign. The journey to Kuala Lumpur went uneventful. 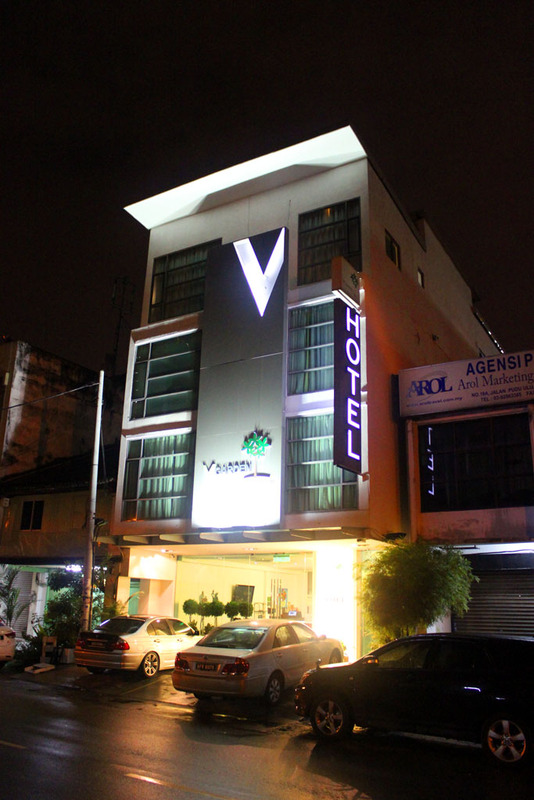 Once we arrived at KL Sentral we hailed the taxi that took us to our hotel: V Garden hotel. 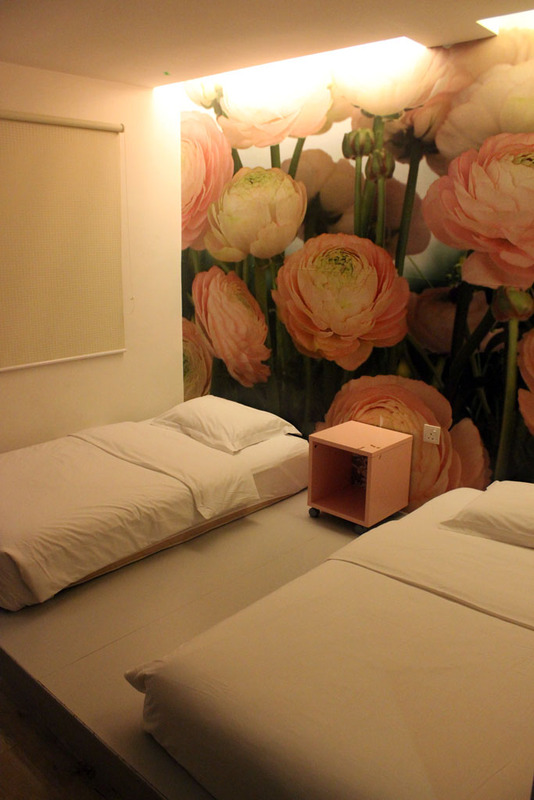 The reason I choose this hotel is due to its excellent reputation in one internet hotel website. However, upon arriving at this hotel, my high expectation began to fade as we found out the hotel is located in a rather run-down area. If that’s not enough, our hotel room looks slightly cramped too. Not to mention its Spartan and rather unsafe elevator! At least it is air conditioned, it has hot water shower, and has twin bed. After we took shower, we went to sleep. 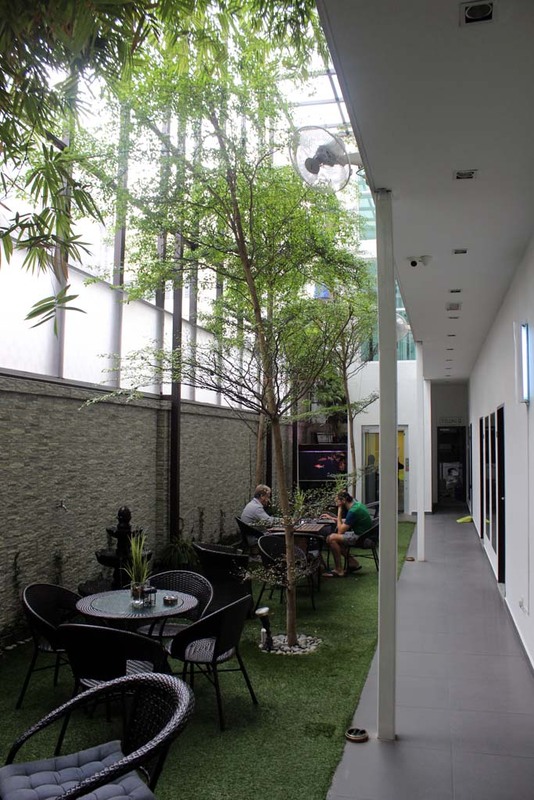 We wake up in the morning and ready to browse around Kuala Lumpur. Once we exited our room, we could see the garden that became the hotel’s namesake, although unfortunately, it is mostly made of plastic. We went to the nearby LRT station. However, due to the construction side nearby, it added several unnecessary hundred meters to our already tiring and dangerous journey. But somehow, we manage to arrive at Maluri station. 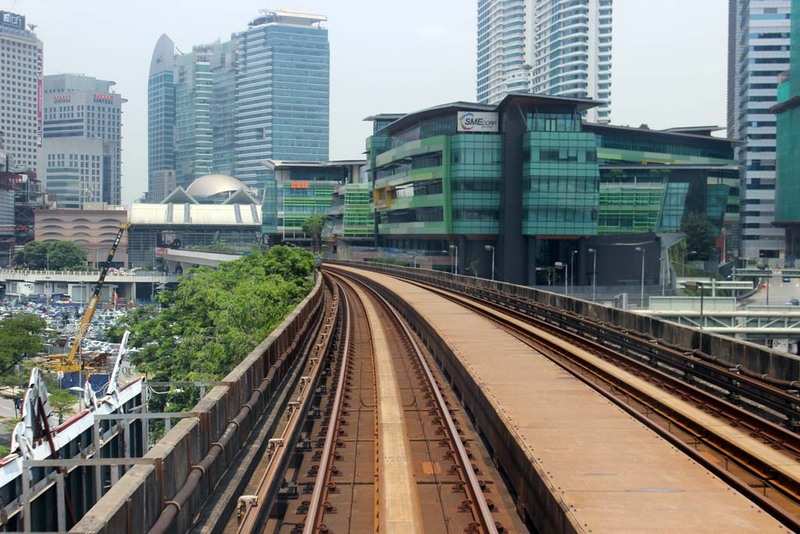 Our destination on that day was KL Sentral where we would take breakfast. First of all we must take train to Masjid Jamek. 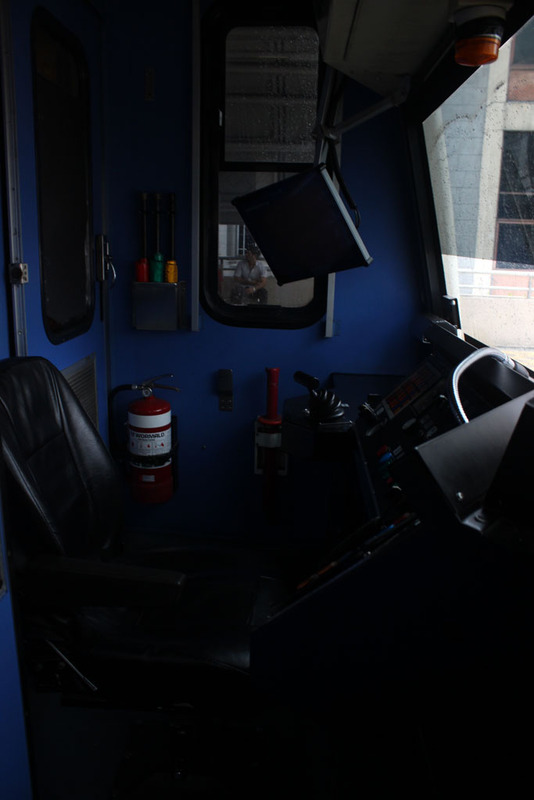 We board the last carriage, and apparently the driving cab is not closed, so I can take the photo of the train’s driving console. After several minutes journey, we arrived at Masjid Jamek. 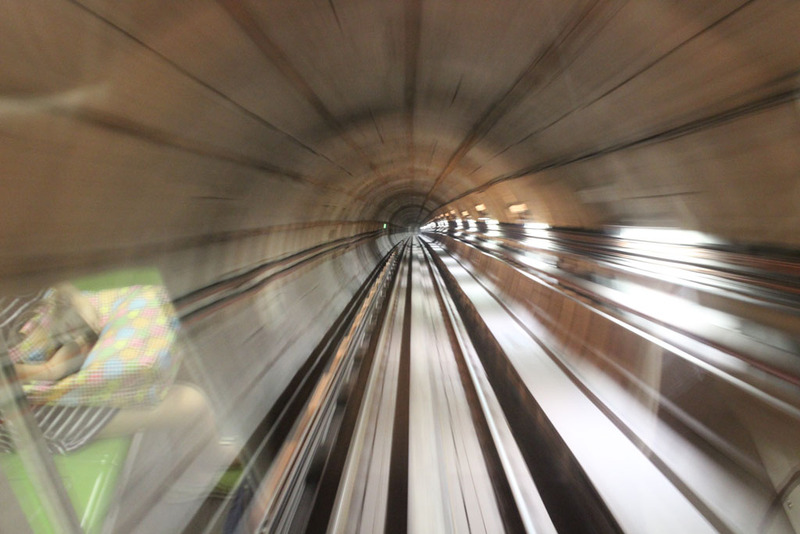 In this station, we swapped to the underground driverless train. 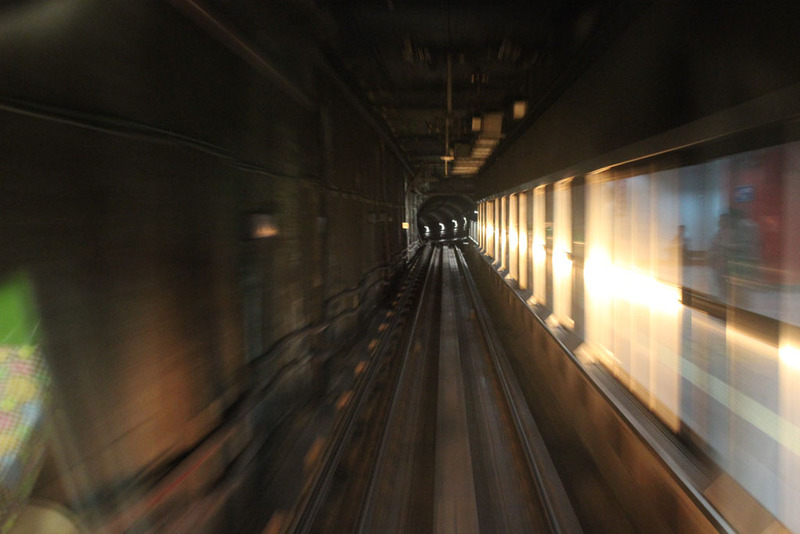 Being in front of the train gave the impression as if we’re riding a theme park roller coaster. But this one is a real thing! 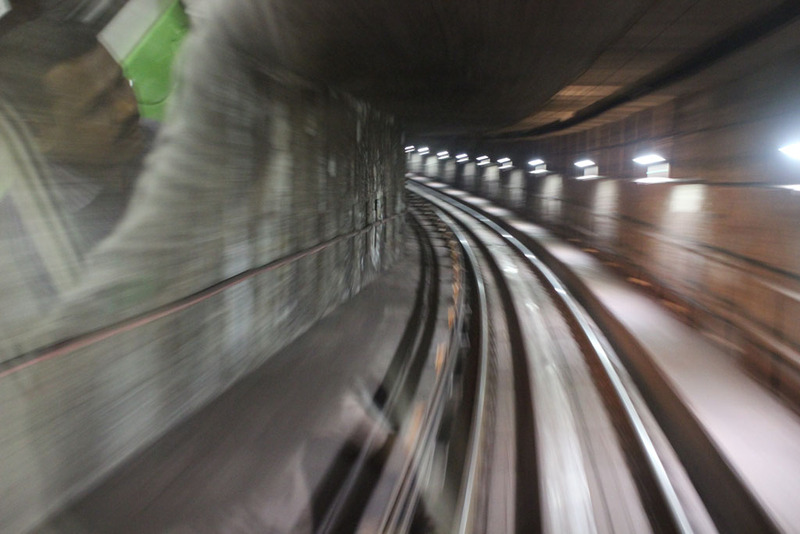 There is a light at the end of the tunnel…..
And we exiting the tunnel…. 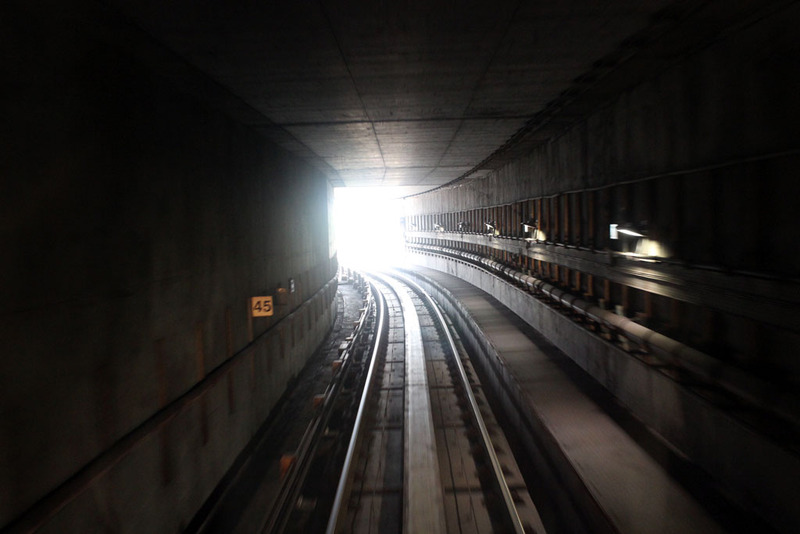 ….and entering the elevated track. 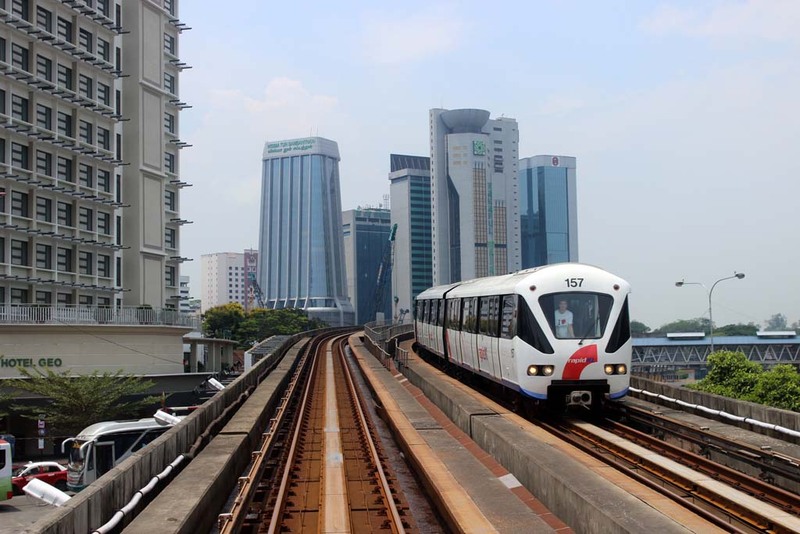 This train really helps the city commuter’s mobility. 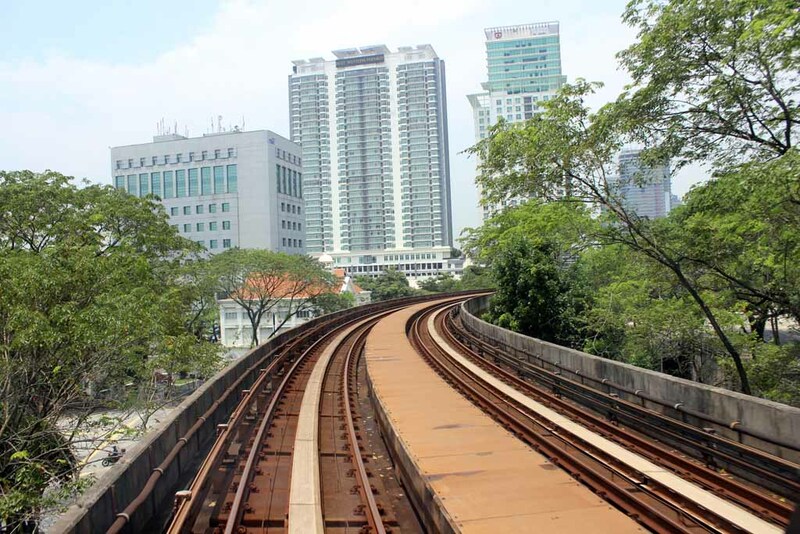 First elevated station: Pasar Seni. 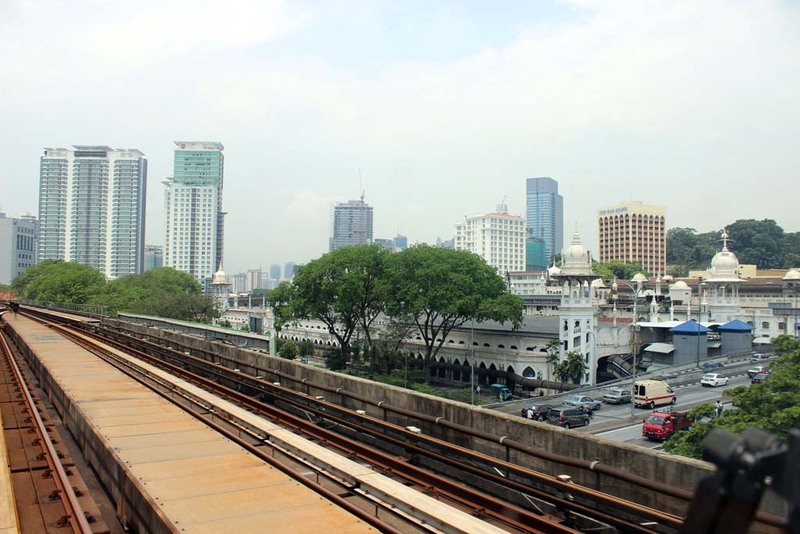 Once we departed Pasar Seni, we could see the old Kuala Lumpur station. 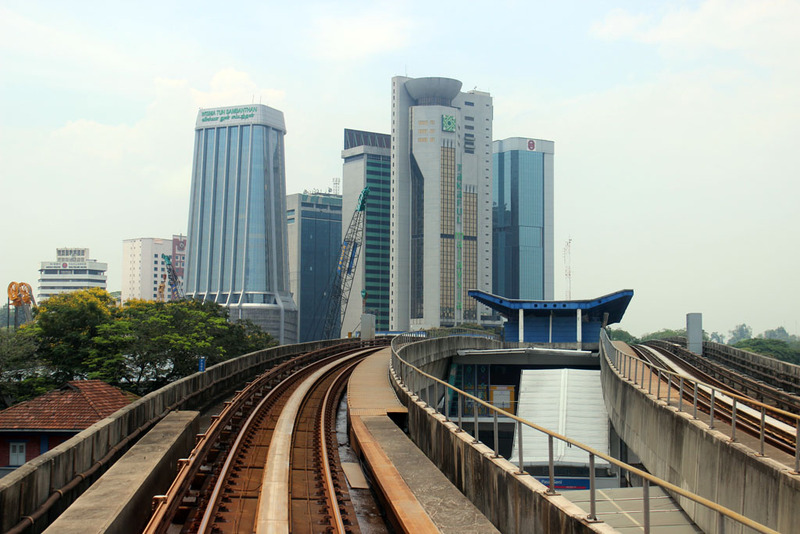 The old station was once the central railway station of Kuala Lumpur, before being replaced by KL Sentral in 2000. 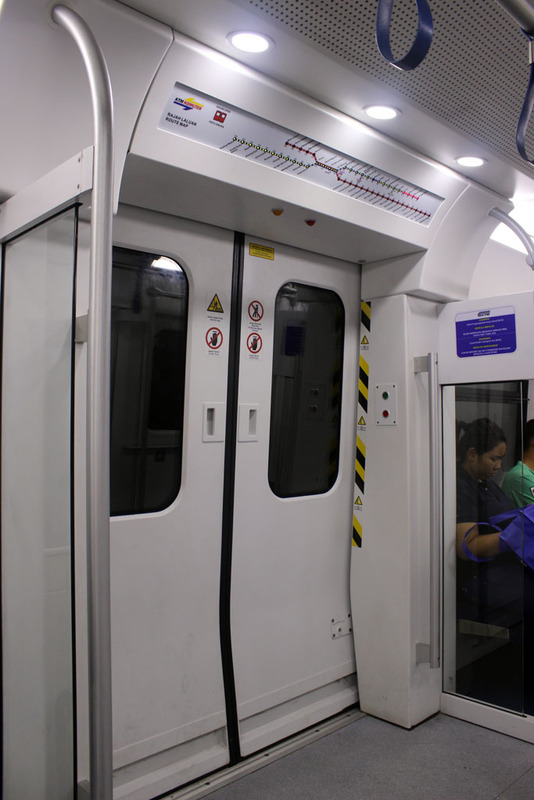 The true benefit of this LRT system is that it can be built with minimum space requirement. So it can be squeezed between buildings and parks. And it also gave flexibility, in term of land availability. 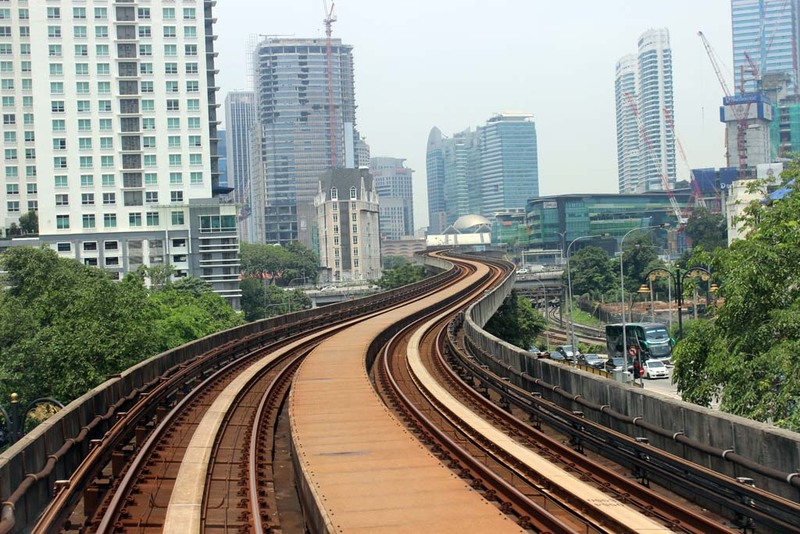 We’re approaching KL Sentral station…. 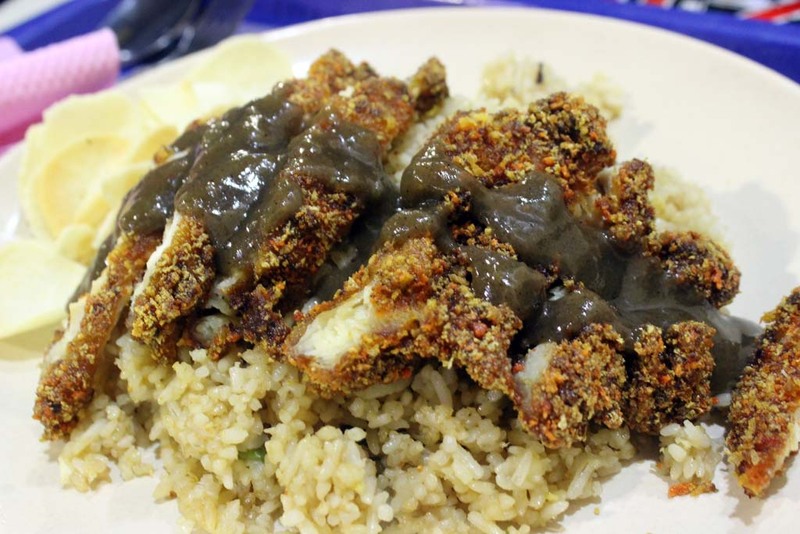 Once we arrived at KL Sentral station, we went to the Food Court, where we ordered our menu. I ordered this rather bland black pepper chicken. 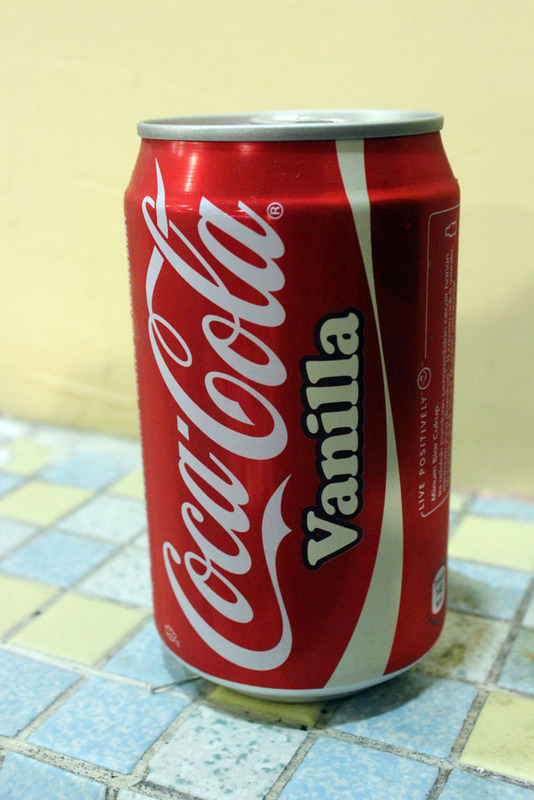 For the drinks, I ordered a drink that I haven’t drank for more than a decade: Vanilla Coke!